Who said Nokia's in a bad shape? Well, OK, they may not be exactly... fine right now, but if they can keep those innovations coming, who knows, maybe we'll soon see a comeback! At least, that is the impression we get observing the current Nokia Lumia 920 stock at AT&T, which is almost nonexistent. As a matter of fact, it seems AT&T has already sold out of the more colorful versions of the handset - the cyan, red and yellow one, and is now left with black and white Lumia 920s only. Of course, this doesn't necessarily mean that people are buying those colorful Lumias like crazy, it may just be that AT&T has kept fewer of those in stock. Still, it is undeniable that any handset that has the label "Sold out" attached to it has something going for it. The good thing is that it's still early to start panicking, as those who want to get a taste of that floating PureView camera and brilliant 4.5" ClearBlack screen can still do so, albeit in black or white only. 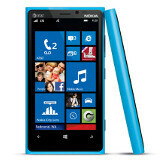 Have you gotten your Lumia 920 yet? Which color do you prefer? haha in your face haters!! Which one are you referring to? I've had FFCs on Nokias with the C7, 701, and 900, and none of them have been bad. Granted the one on my wife's netbook seems clearer, but for video chats over cellular they've been more than adequate and no lags or lost frames. Compare Lumia 920 front facing camera with Samsung Galaxy S2 Skyrocket, Galaxy S3, HTC 8x and you will agree with me. I would like the red...absolutely striking!! I would love a limited edition rainbow-coloured version. I wouldn't want rainbow, myself, but limited editions sound neat. The Pink 900s were limited release. I'd like a nice dark green version, myself. If I get an 810 then I'll experiment with painting the stock black cover. i always wondered why most cell phone manufacturers dont use more colors. does it cost more money for them to do so? I wouldn't imagine so, and it also creates a brand identity, like how Nokias are instantly reconizeable with the cyan phones (and now the yellow and red). I want a Cyan one !!! Europe please with no carrier logo! I have the red, and it is a beauty. Well they are using the same strategy around the world, the lumias are sold out globally. an intelligent consumer wouldnt make the assumptions that there's bad inventory or low inventory without knowing the stock numbers. congrats on proving you're not intelligent. No one at Nokia HQ can call it a victory yet, but boy there HAS to be at least a few smiles right now. So far, the 920 has been reviewed extremely well and Nokia is the only manufacturer actually trying to build something unique and exciting with WP 8. They deserve good sales. I am very hopeful. Have heard some decent demand for the Verizon 822 and 8X as well. with verizon about to lauch their windows phones, huwaei launching 2 windows phones in 2013, nokia talking about future concepts on windows phones, sprint launching windows phones in 2013, the future looks bright for windows phone. i hope it continues to do well and make a dent into iphone and android sales. as a consumer i would love more competition in the cell phone market. that brings better pricing competition for me and more phone options. Sold out is such a misleading statement. For instance the iPhone 5 is on backorder for 21 days and yet it's not considered to be sold out technically. Just on backorder. The lumia 920 might sell well but I doubt this sold out mess!!! Will it be more Yellow and Red for AT&T? This is no surprise there. Due to so many phones that are released being black, white, or slate colored, who wouldn't want a colorful phone that stands out from the crowd? And guess what, NO CASE REQUIRED!!! Not to bash Apple, but it's funny how so many people say how beautiful the design of the iPhone is, but yet, people cover them up with cases just so they can be unique. I never understood why OEMs don't use other colors for their phones these days.